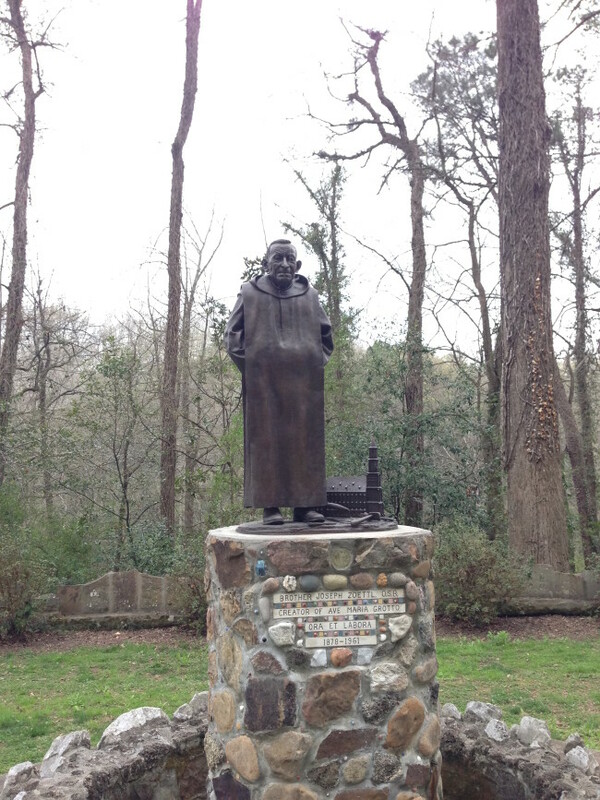 Philippa and I went to the Blooming Festival at St. Bernard Abbey last April. It’s like a craft show. 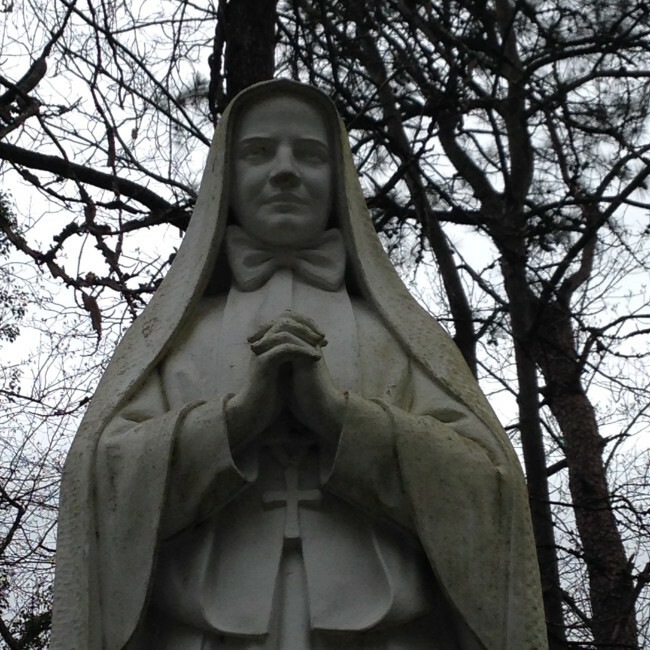 On the way down to Cullman, Philippa said if I wanted to we could visit the Ave Maria Grotto. I’ve heard about it and have seen signs for it for years on I-65 but for some reason, I had no idea it was in Cullman, nor at St. Bernard! I go to Cullman regularly and had been to St. Bernard for track meets and soccer. It is any type of natural or artificial cave that is associated with modern, historic, or prehistoric use by humans. 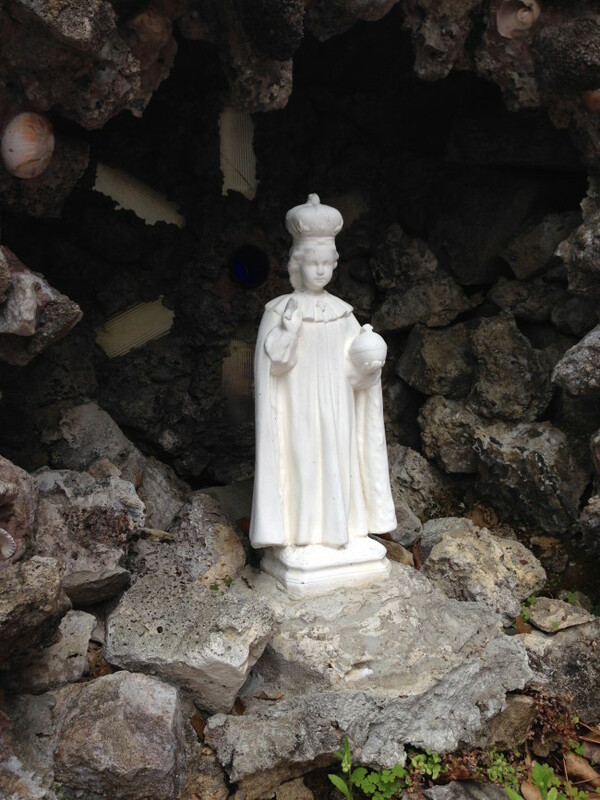 In modern times, many people purchase artificial grottos for ornamental and devotional purposes when it comes to placing statues of saints, particularly the Blessed Virgin, in outdoor gardens. 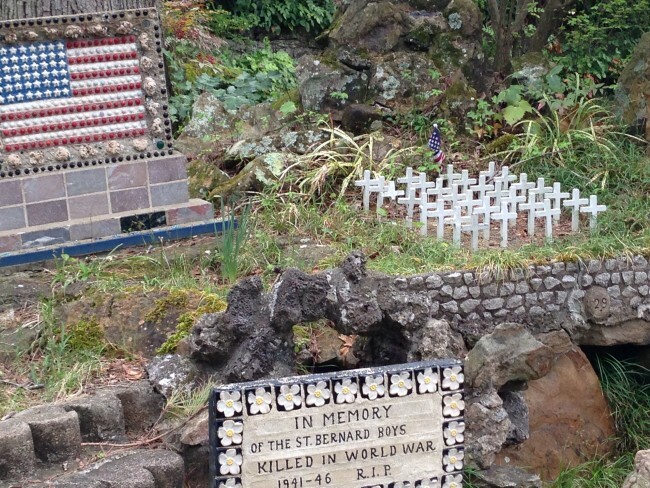 So the Ave Maria Grotto is known throughout the world as “Jerusalem in Miniature,” and built on a four-acre wooded park by the St. Bernard Abbey and was built by a little monk from Bavaria named Joseph. Joseph ended up making some 5,000 grottos. 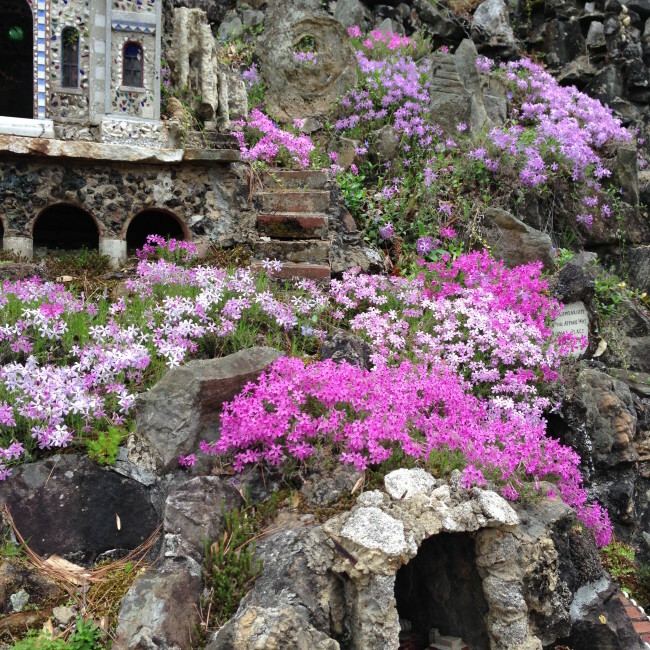 In 1932 he decided to build a large grotto for visitors. In contemplating the Main Grotto, which was to be the centerpiece of the whole park, Br. Joseph had yet to decide on the type of building materials he would employ and where they would come from. A partial solution was handed to him on April 29, 1933, when there was a derailment of the L&N railroad about twenty miles away near Vinemont, Alabama. One freight car full of marble from the Gantt Quarry, Sylacauga, Alabama overturned and the marble was crushed. It was useless to the owner so he gave it to Saint Bernard. The monks went up and carted it down to Saint Bernard; it was exactly what Brother Joseph needed as the main stalactites to hang in the Great Grotto. 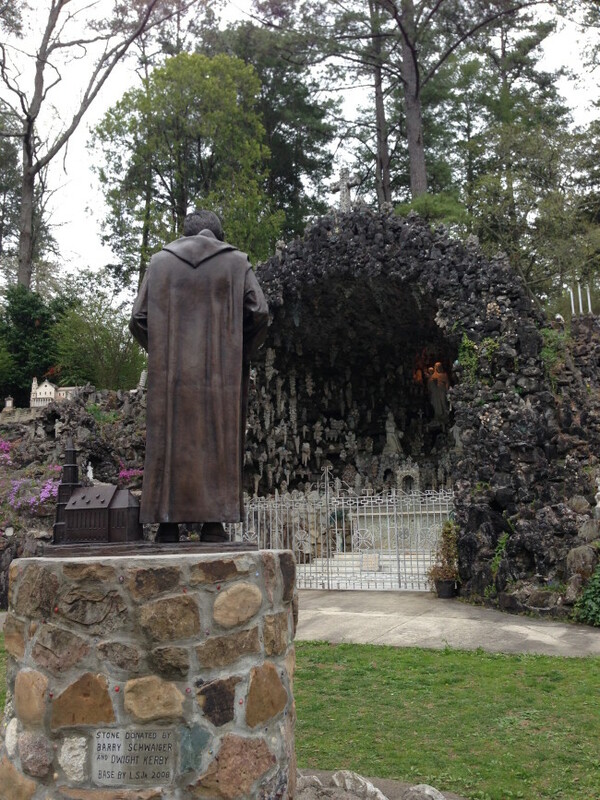 The grotto was dedicated on May 17, 1934. 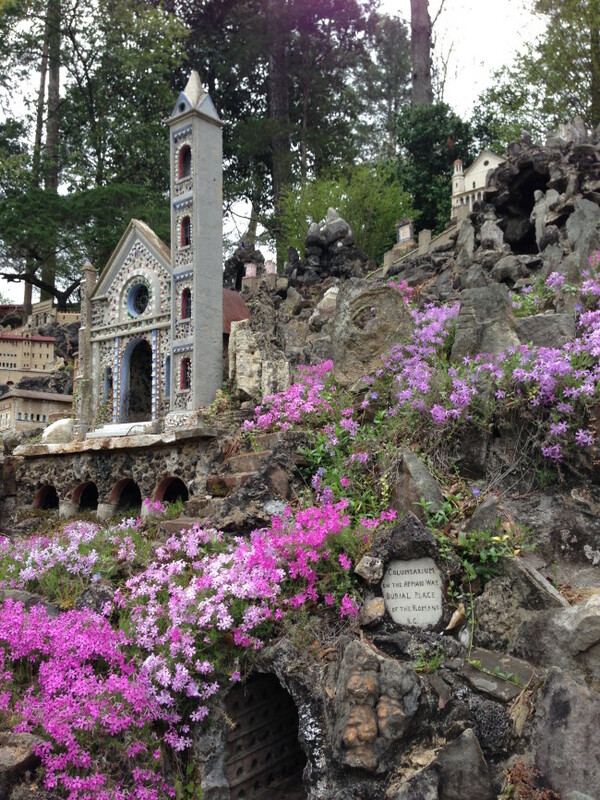 For the next 20 years, he continued adding on to the grotto by building miniature reproductions of some of the most famous religious historical buildings and locations in the world. 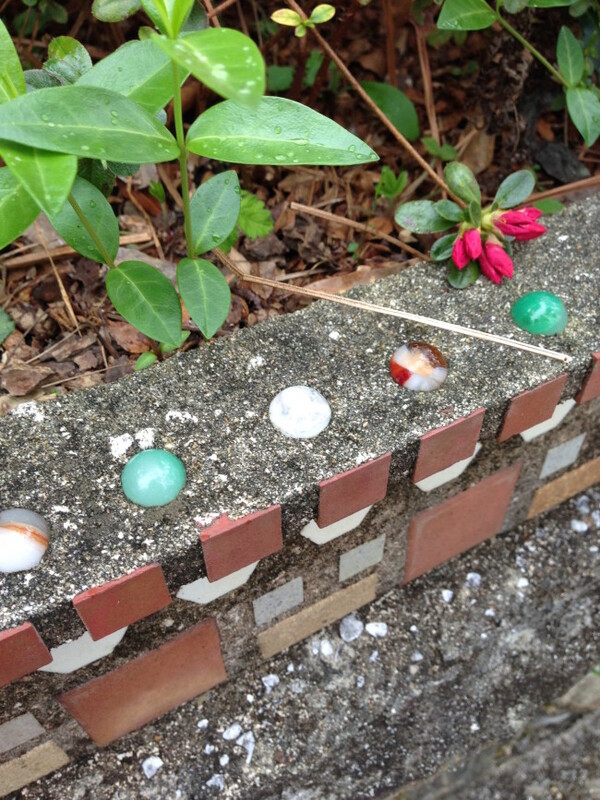 He received donated materials from every state in the USA and many countries from marbles, shells, cold cream jars to colored glass, broken tile and costume jewelry. There are 125 structures. He built his last model, the Basilica in Lourdes, at the age of 80, in 1958. Open daily 9 a.m. – 5 p.m. A very modest cost to enter. It’s a very unique place to visit especially in the spring when the azaleas start to bloom. It’s so creative and unusual, if not a bit tacky, but that adds to the charm. I hope even if you have been to go again when the flowers are blooming. It’s a treat. 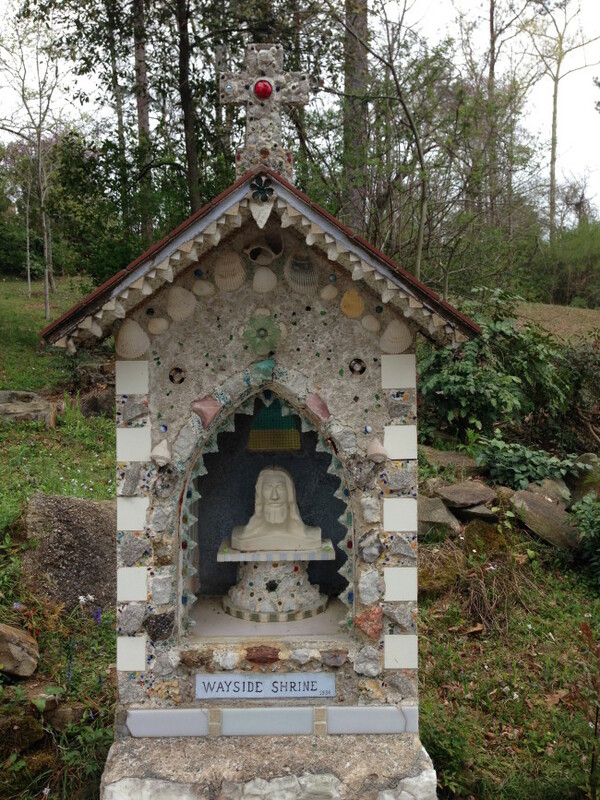 This entry was posted in outdoors, travels and tagged ave maria grotto, cullman, grotto by Katey. Bookmark the permalink. That was such a fun day! I want more of those wax carvings that we bought. I know! I gave them as christmas gifts. So sweet. Katey, back when I was a Sales Representative driving the roads of N. Alabama, I toured Ave Maria Grotto “right by myself”. I found it to be quite interesting too. Thanks for the memory. It is quite a peaceful and a lovely place to spend an afternoon. They have made a movie about him and I would really like to see it. It came out last fall. I’ve known about it forever but didn’t realize it was so close to here. I recall us talking about it but I didn’t realize you had been. I bet the boys loved it too. Very Interesting. you always get such good pictures & provide great narrative. Thanks for sharing!